1. Parliamentary Government has been irrevocably established amongst us, and it is impossible to suppose that it will be seriously modified in any period to which we can look forward. 2. Defects which grievously impair its efficiency both in regard to legislation and in regard to the executive government are inherent in it. 3. Partial remedies may be suggested for these defects, though they are not capable of being removed at once by any single measure. The proposition that Parliamentary Government has been irrevocably established amongst us, and that it is impossible to suppose that it will be seriously modified within any period to which we can look forward, is so clear in itself that to attempt to prove it is to weaken it. It is the first step in political knowledge to admit that upon all great national questions the ultimate decision must hereafter rest with the numerical majority of voters, expressing their will through representative assemblies. There is no use in discussing the question whether this is a good state of things or a bad one. For all practical purposes it is enough to say that it exists, and that it is the part of rational men to make the best of it, as they make the best of the climate, the soil, or the national character of their country. It has been less generally remarked, though it is at least equally worthy of remark, that, owing to particular circumstances, the constitution of this country is very much more democratic than it would have been if the constitution had been expressly framed on a democratic basis. Public opinion here acts on the Government much more forcibly and directly than it does in the United States. The manner in which our constitutional changes have been made has been such as to give us a constitution which, though in some ways one of the most complicated, is in others one of the simplest in the world. Most of the parts which make it look complicated have long since been struck with paralysis, and have sunk into the condition of fictions. Theoretically, the Queen has boundless prerogatives; practically, she has no power. After making every allowance for the influence which an English Sovereign who made the best use of his position might in time acquire in the direction of public affairs (which is usually underrated), the power of an American President and his Ministers is out of all comparison greater than the power of an English King and his Cabinet. So, again, the power of the Supreme Court over the enactments both of Congress and of the State Legislatures is unlike anything which we have in this country. On the other hand, the power of a Parliamentary majority here is quite unlike anything which Congress, the President and his Ministers, and the Supreme Court, all together exert at any given moment in the United States. Very few Englishmen appear to see that the result of our passionate love for constitutional fictions, and of our determination in every case to maintain all the old forms untouched, whilst we alter the substance of all our institutions, has been to establish in this country one of the most direct, stringent, and unqualified authorities in the whole world. Making allowances for some institutions of a different character which are to a certain extent checks upon it, the majority for the time being of the House of Commons governing through a Committee of Ministers absolutely depending upon its favour, is the absolute master of every institution in the country, and of the lives and fortunes of all its inhabitants. The contingency that the House of Commons may abuse its powers need not, as matters now stand, be seriously considered. It is, however, worth while to point out how deeply, and indeed irrevocably, we are committed, not only to Parliamentary Government, but to a form of it which is singularly absolute and unqualified, so far as any legal limitations of its powers are concerned. The second proposition is, that defects which grievously impair its efficiency, both in regard to legislation and in regard to the Executive Government, are inherent in our form of Parliamentary Government. Before attempting to prove this, I wish to disclaim any intention to undervalue the institutions under which we live. A person who spoke of them with disrespect would prove his own incompetence to discuss public affairs of importance, and his want of acquaintance with political institutions, and the conditions under which they must of necessity work. Whatever faults our institutions may have, they, or at least we who live under them, have solved the problems which are throwing the greater part of Continental Europe into convulsions. If France, or Spain, or Italy had reached the points at which the defects of our system become visible, they would be infinitely better off than they are at present. We have at least arrived at a state of stable equilibrium. There is no serious question in this country of deciding political questions by violence. Everyone takes a strong interest in public affairs, and has a more or less intelligent opinion about them. A great number of political truths which in many parts of the world appear to be still in the nature of hidden mysteries, have with us passed into mere commonplaces. Moreover, the history and traditions of the country give a dignity to our institutions, which can hardly fail to make those who live under them feel that they have a character to lose and a position to keep up in the world. Above and beyond all, no nation in the world possesses anything like so large a class of intelligent, independent, and vigorous-minded men in all ranks of life, who seriously devote themselves to public affairs, and take the deepest possible interest in the national success and well-being. No one can understand the sense of stability, reserved force, and general power which English institutions derive from this circumstance, until he is able to compare life in this country with life in a country like India, where Europeans are but a handful—numerically so insignificant as to be almost imperceptible. The character of our public men is the sheet anchor on which our institutions depend. So long as political life is the chosen occupation of wise and honourable men, who are above jobs and petty personal views, the defects of Parliamentary Government, however serious, may be endured even where they cannot be remedied or alienated. If, however, the personal character of English politicians should ever be seriously lowered, it is difficult not to feel that the present state of the constitution would give bad and unscrupulous men a power for evil hardly equalled in any other part of the world. Upon the whole, those who think thus of Parliamentary Government are under a special obligation to speak plainly and without reserve of its defects. Flattery has at all times and in all places been the mortal enemy of every form of government to which it has been applied, and no form of government ever was more persistently or more grossly flattered than our own. The proof is to be found in nearly every newspaper, and in nearly every speech made by a candidate to electors or by a member of Parliament to his constituents. It is needless to enlarge either upon the fact itself or upon the evils which it produces. They belong to the class of facts which everyone admits in theory and forgets in practice whenever it is convenient to do so, as it often is. I come now to the main subject of this paper, which is to state and enforce the proposition that defects are inherent in Parliamentary Government which grievously impair its efficiency both in regard to legislation and in regard to executive action. All the defects in question may be regarded as the result of putting the whole government of the country, both as regards legislation and as regards the control of the administration of current public business, into the hands of a popular assembly composed of many hundred members. In short, there are things which Parliament can and must do, and there are also things which it cannot possibly do well; the importance of business of the latter class has increased, is increasing, and may be expected to increase continuously; and great public evils result from the manner in which it is done, and must continue to be done so long as Parliament insists on doing everything itself. Take first the things which Parliament can and must do. Parliament must of course decide questions on which different sections of the nation have conflicting sentiments and interests. It must, for instance, decide the question whether the suffrage is to be maintained at its present level or to be altered. The reason is, that the question “Who shall have votes?” is not at bottom a question of policy, but a question of power. In making a constitutional law, rational men consider what form of government is appropriate to a given nation under given circumstances at a given time, and with a population composed of such and such classes of persons, related to each other in this way or that. Throughout the discussions which preceded the last Reform Bill, for instance, the really important question was, how and to what extent to give votes to labouring men. Reasonable people did not suppose that the measure would increase the amount of political wisdom in the constituencies, or that it would necessarily lead to better legislation, or to a more skilful administration of public affairs. The measure was passed because it was felt universally that some such measure was necessary in order to adjust the form of our Government to the great changes which had taken place in the body of the nation. In short, a step was taken with a good grace which it would have been absolutely necessary to take somehow or other, sooner or later. Now, considerations of this sort are precisely the considerations which address themselves to a representative body chosen from and immediately dependent upon the great body of the public at large. Every extension of the suffrage is a surrender by the existing constituencies of some part of their power. As by the hypothesis they have the power to start with, they, and they only, can possibly determine through their representatives when and to what extent they will share it with others. Parliament, again, must decide all questions which have a strong and obvious bearing on questions of sentiment, and especially those which bear upon religion and morality. These, like the question as to the extent of the suffrage, are ultimately questions of power. There is a great deal to be said for an Established Church, and a great deal to be said against it; and if its advocates and its antagonists were left to convince each other by mere force of argument, they would wrangle till the end of time. Such questions are settled in rough times by physical force, or by the threat of it. We have substituted, as I have elsewhere remarked, the practice of counting heads for the practice of breaking them—at least in most cases. But minorities give way in reality, not because they are convinced, but because they are overpowered. On the whole, then, questions which affect the strongest feelings of men, or which are concerned with the distribution of political power, together with many others which it is unnecessary to particularise minutely, must be decided by Parliament, because the nation at large cannot delegate the decision of such questions to any body which does not directly represent it, even for the purpose of obtaining a wiser decision than a body which does represent it would give. So much for what can and must be done by Parliament. I now pass to the question of the things which it ought not to attempt, because it cannot possibly do them well. I say, then, first, that Parliament is ill fitted for the task of elaborating the details of legislation, especially when it is complicated and relates to special subjects, and that it is perhaps even worse fitted for the task of keeping up a close and stringent control over the actual administration of public affairs. First, as to legislation. The defects of Parliament, regarded as a legislative body, are so numerous that it seems hardly respectful to enumerate them, but at the same time they are so important that it is necessary to do so. To begin at the beginning, party government is so closely connected with Parliamentary government that Parliamentary government could not be carried on without it. A Parliament not divided into parties kept under a certain sort of discipline would be little better than a mob. If, however, we are to have party government, the following consequences from it are inevitable:—Public men and public measures of all sorts will have to be classed under the heads of Liberal and Conservative, or some other heads of the same kind. This, however, is a most imperfect and irrational distinction to take as the only one to which attention ought to be paid in choosing a member of Parliament, or supporting a measure introduced into Parliament. A very large number of public questions—a much larger number than most people suppose—have nothing at all to do with the distinction: and, as every one knows, the best and ablest men in the country are divided, not so very unequally, between the two parties. If we were at war, no one would admit that the political opinions of an admiral or general ought to prevent his appointment to the command of an army if he was specially fitted for it. No one would wish to see the governors of colonies or the Viceroy of India removed from their situations as soon as the Government which appointed them went out of office. Why, then, should the question between Conservative and Liberal be made the pivot upon which turns all electioneering and the whole conduct of public affairs? The results of attaching that degree of importance to it are manifold, and when the matter is fairly considered extremely surprising. In the first place, it is the very essence of party government that one-half of the ablest men in the country should be compelled to pass the greater part of their public lives in fighting with the other half. The effect of this is to produce an extraordinary and lamentable waste of time and talent, and to encourage a way of treating measures which can only be compared to the way in which the advocates of opposite parties in a lawsuit treat their opponents' cases. It also possesses the minds of the public at large with the notion that to be a skilful Parliamentary gladiator is to be a great statesman, and that practical politics are rather a game than a branch of knowledge. People take sides in political struggles very much as they do at a race, and consider the question whether this public man or that gets the better of a sort of boxing-match with much more attention than they give to the merits-of less exciting, though they may be intrinsically far more important questions. A greater evil than these is the exaggerated prominence which party government gives to matters of which the intrinsic importance is small, by putting it in the power of any little knot of persons who take an interest in some one trumpery matter which just fits the calibre of their minds, to turn the balance this way or that in party struggles by promising their support to any one who will pledge himself as they wish on their special question. A man well fitted in every way to sit in Parliament may often lose his seat by differing in opinion from the bigoted part of the constituency on some small question. These fancies used, I believe, to be described in the United States collectively as “the isms;” and their influence on the government of the country long has been, and continually is, growing in strength. Another effect of party government is that it produces an arbitrary connection between measures which ought to be considered upon their own merits. The Ministry as a whole being responsible, jointly and severally, for all their measures, the country is continually put in the dilemma of approving bad measures or renouncing good ones, when there is no reason whatever why the bad measures should not be rejected and the good ones adopted. It is difficult to imagine two really important proposals with less in common than the proposal to remodel the English Courts of Justice and the proposal to establish a new University in Ireland. Yet nothing is more certain than that the fate of these two measures was closely linked together last spring. If a Conservative Government had been formed when Mr. Gladstone resigned upon the defeat of his University Bill, Lord Selborne's Judicature Bill must have been lost; and whether it would have ever been carried, either by his own party or by his opponents, would have depended on a variety of party combinations as difficult to arrange or to foresee as the changes of a kaleidoscope. This is not the place to say anything on the subject of denominational education; but if we assume, for the sake of illustration, that the present Government are less favourably disposed towards it than a Conservative Government would be, it may be said with truth that the prospects of denominational education in the British Islands will be slightly improved if the Ashantees were to contrive to destroy Sir Garnet Wolseley and his staff. That the immediate prospects of the 25th clause of the Education Act will, for the next few months, vary inversely as the healthiness of the Gold Coast and the fidelity and courage of the Fantees and Houssas, is a reflection intrinsically as odd as Mr. Darwin's discovery that domestic cats are the patron saints of humble-bees. A fourth result of party government is the total destruction of any approach to permanence, continuity, or system in the management of public affairs. The Government of the moment is never sure that it will continue in power for more than a few months. It would be difficult to point out all the consequences of this uncertainty upon every branch of public business. The most important result upon legislation is that every Ministry is obliged, for the sake of having a cry, and also for the sake of justifying its own tenure of power, to have some two or three great measures on which its existence is staked, and to which all other things are to be sacrificed. I am very far indeed from agreeing with the do-nothing theory of politics, which in these days has numerous advocates; nor do I think that those who charge the present Government with what they describe as heroic legislation,—heroic in what is explained to be a strictly medical sense, -are more just to their antagonists than political speakers usually are. Apart from all passing and temporary politics, it is the inevitable consequence of the system of party government that every one who succeeds in dethroning his rival should fix his mind upon some prominent Parliamentary triumph, and strain every nerve to obtain it—laying aside, in order to do so, all serious attention to matters which it would require several years to establish, superintend, and bring into good working order. I will not, however, insist upon this in detail, as it enters more or less into the general subject of the unfitness of a large popular assembly for the business of elaborating the details of legislation, and for the business of legislating at all upon matters which require great care, much constructive skill, and a large amount of special knowledge. I think it was Mr. Bright who once compared the progress of a measure through Parliament to the progress of a cab along Fleet Street on a day when the traffic is unusually heavy. If a horse falls or a wheel comes off, there is a block, which extends for a great distance, and which makes the question whether or not it will be possible to reach any particular point at any particular time one on which it is impossible to form even a plausible conjecture. The figure was perhaps better than the common run of figures, and it might even have been carried a little further. It might have been added that, apart from the inevitable friction and jostling of cabs and omnibuses going different ways, the street has not unfrequently to be cleared, all the traffic being stopped and thrust this way or that in the most unceremonious manner, in order that some party debate may be able to go charging along like a fire-engine, with the firemen shouting to everyone to clear the way, and a noisy mob roaring at their heels. It must also be recollected that our Parliamentary highway is open only for a part of the day, and that every vehicle which cannot get past a certain point by a certain time—the hour corresponding to the closing of the Session— finds the gates shut, and must return to the place from whence it came; not to speak of the possibility of their being shut at any time by a dissolution. Dropping all metaphor, the following defects at least are incidental to Parliamentary legislation, quite apart from the system of party government, which, however, for the reasons already assigned, aggravates every one of them to an incalculable degree. In the first place, the effect of the right of every member to introduce any measure he likes, and the rule that every Act must pass through all its stages in both Houses in some one Session of Parliament, together with the general uncertainty thrown over everything by the instability of the tenure of office, makes anything like continuous systematic legislation upon any subject practically impossible. The character of our statutebook is pretty well known, and need not be insisted upon, nor shall I here dwell upon certain views of my own relating to the simplification of the law, but I may remark that the statute-book as it stands bears upon almost every subject in which we are interested, with the exception perhaps of questions of pure science; and anyone may see that matters have got into a state in which two things are almost equally desirable—namely, first, that by obvious and well-known methods our existing laws, and the vast mass of miscellaneous institutions created by them, should be reduced into an intelligible shape; and next, that such amendments as they require should be made systematically and upon some kind of general plan. A system under which any one of a large number of persons is at liberty to occupy the attention of Parliament for a greater or less time, by proposing to it any little change—possibly good in itself—which happens to strike his fancy, really aggravates the existing evils more than it alleviates them. The statute-book is like a mass of tangled string which it is very important to disentangle. Modern legislation is like a set of persons engaged in disentangling it, each of whom has got hold of a separate loop, which he is dragging with all his might in his own direction, and upon which he is quite prepared to use his penknife to any extent if he comes across a knot. I do not agree with the opinion that Parliament should, for a series of years, pass no laws except repealing Acts; but I can quite understand how the able and eminent person who expressed this opinion came to form it. My own belief is, that there never was a time or country in which careful, well-considered, systematic legislation was more urgently required than it is now and here; and I have no sort of doubt that it affords the only means by which the law itself, and the institutions which the law has created, can be put into a proper shape. But I am at least as firmly convinced that, under the present system, it is impossible that Parliament should either determine what measures ought to be proceeded with, or in what order they should be taken, or that when those questions are settled, it should bestow upon them anything like the amount of care and thought necessary to put them into proper shape. Every one who has ever had occasion to read an Act of Parliament with care must know that even acts which are apparently very simple will almost always be found, upon examination, to involve a number of questions of detail which cannot be settled off-hand, which it is essential to settle correctly, and which can hardly be discussed in set speeches by a popular body, inasmuch as it is difficult to see what the nature of the question is without close attention, repeated explanations, and careful weighing of words and comparison of passages. Moreover, the effect of amendments cannot be understood till the amendment is incorporated with the matter amended, and the result of the whole carefully considered. Suppose that when an artist had completed a picture or a statue, a committee of rival artists were to proceed to debate the question whether a little colour should be put in here or a bit of marble chipped off there; and suppose, further, that the alteration was to be made there and then, when the majority had declared its opinion, would the result be satisfactory? What again would happen if it were the avowed object of many members of the committee to destroy the merits of the work, and, if they could not prevent the artist from painting, at all events to jog his elbow as much and as often as possible! The truth is, that as long as the present system lasts, the details of legislation must of necessity be ill done. If, on the one hand, a Bill is furiously debated clause by clause, it is apt to be pulled to pieces, till its authors would hardly recognize it; and this mutilation, be it remembered, is inflicted, not by way of intelligent criticism, for the purpose of improving the Bill, but often for the purpose of defeating it. It is directed almost exclusively to points of policy which are interesting, and not to points of working detail, which are often as dull as they are important. If, on the other hand, a Bill does not happen to attract attention or to appeal to party feeling, it may be passed through Parliament with much less alteration and discussion than it deserves. Strange as it may appear, I believe that the measures which were passed by the Legislative Council in India received much more careful and minute criticism than Acts of Parliament which do not attract public attention, and which relate to special subjects, although the great difficulty with which the Government of India has to struggle at every turn is, that nothing which deserves to be called public opinion exists in the country. The reason is, that every effort was used by the Government of India to obtain as much of such criticism as they could. Copies of all Bills before the Council were forwarded to officers and others in all parts of the country, who would have to work them when they were passed into law, and they were called upon to criticise the draft as minutely as possible. These criticisms were afterwards carefully discussed, one by one, by a Select Committee of the Council, which was appointed for the purpose, and which, in the case of important Bills, would pass several hours a-day for several months together in the most minute and careful examination of every word of the Bill before them. No one who has not seen the effects of such a process can tell how great they are, and no one who is not familiar with English law reports can judge of the extent to which such an examination is needed for Acts of Parliament. I may sum up shortly what I have to say upon the defects of Parliament, considered as a legislative body, as follows:- The system of party government, the size and character of the two Houses, and more especially of the House of Commons, and the system of conducting public business by making speeches, combine with some other matters, which, for the sake of brevity, I omit, to make it almost impossible for Parliament to legislate in a satisfactory way upon the infinite variety of subjects which come before them. Parliament can and must decide upon broad questions of principle and policy, but as soon as they attempt, not only to lay down great principles, but to criticise elaborate schemes and to settle working details, they fall into every sort of mistake, and do their work with so little accuracy and with such a total want of system, management of time, and organization of labour, that their efforts to solve the different practical problems of the day often end in producing mere confusion and bewilderment. But I will conclude this part of what I have to say by quoting a passage from Mr. Mill's Autobiography, which sums up in a pointed manner a view which he has stated more fully in his work on Representative Government. He says that in that work he discusses several questions which must soon be decided. “The chief of these is the distinction between the function of making laws, for which a numerous popular assembly is radically unfit, and that of getting good laws made, which is its proper duty, and cannot be satisfactorily fulfilled by any other authority; and the consequent need of a legislative commission as a permanent part of the constitution of a free country, consisting of a small number of highly-trained political minds, on whom, when Parliament has determined that a law should be made, the task of making it should be devolved, Parliament retaining the power of passing or rejecting the Bill when drawn up, but not of altering it otherwise than by sending proposed anendments to be dealt with by the commission.” I should not myself be prepared to go to this extent. I give the extract because it shows how deeply the most distinguished advocate of Parliamentary Government felt the importance of the drawbacks to it which I have tried to sketch. I now pass from the defects of our system in a legislative point of view to its defects in reference to the general control of the Executive. This is a very curious subject, and inasmuch as it affects all parties alike, it has attracted much less attention than it deserves. The theory of the Constitution is that the King is the head of the State, and his constitutional adviser in the administration of public affairs is the Privy Council. Parliament is the great council of the nation called together to consult de arduis regni, and in particular to legislate when occasion requires, to see to the redress of grievances, and to vote supplies. In ancient times the actual management of public business appears to have been conducted somewhat as follows:— There were a certain number of high officers, such as the Lord Treasurer and the Lord High Admiral, who, by virtue of their office, were at the head of particular departments; but the great administrative body was the Privy Council, which was divided into committees. Thus, in the time of Edward VI. the Privy Council consisted of thirty-one members, who were divided into a Judicial Committee; a Committee which seems to have superintended the execution of penal laws and the punishment of offences; a Committee of State; a Committee of Revenue; and a Committee of “Bulwarks”— I suppose fortifications. In the time of Charles II, it seems to have been divided into four committees, viz.:—1. For foreign affairs; 2. Admiralty, naval, and military; 3. Petitions of complaint and grievance; 4. Trade, Colonies, Ireland, and Scotland. The Secretaries of State were members of every committee, and special committees were appointed as occasion arose. The King himself sat at the Council board, and took part in all that passed there. This was an intelligible, straightforward system. The King was at the head of affairs. He communicated with the people through Parliament for particular purposes and on special occasions. He managed his affairs through the Privy Council, and he had local agents in the sheriffs, justices of the peace, mayors, bailiffs, and other officers of corporations, who were dependent upon him in various degrees, but who in every case were in one way or another responsible for the discharge of their respective duties and the execution of any lawful orders which they might receive. I need not enumerate the steps by which Parliament gradually possessed itself of the position which it occupies at present; but I wish to point out a consequence of the change, the importance of which has never been sufficiently recognised. This consequence is, that the country has no regular administrative constitution whatever. The Privy Council has become a dead-alive body of the strangest kind. Vestiges of its old constitution still remain in the Committee on Education, the Committee on Trade, and the Judicial Committee. The Judicial Committee is, of course, entitled to the high consideration which it enjoys as one of the most distinguished courts of justice in the world; but it is a court of justice, and in no real sense a branch of a council. The Committee on Education and the Committee on Trade are mere fictions, and I believe never or hardly ever meet. Traces of their existence are to be found in the fact that the heads of these departments are called vice-president, and that the official letters of the department are written in the name of “My Lords.” The Privy Council has some other substantial duties to which I need not refer specifically, as I am not writing an essay on the subject; but it seldom meets as a whole except for formal purposes, and its really important duty, that of advising and assisting the King in the general superintendence and management of public business, has ceased to be discharged at all, for the simple reason that the King has ceased to do that in which the Council used to help him, and that no one has taken his place. The body which most nearly resembles the old Privy Council is the modern Cabinet; but before I say what I have to say about it, I must say a few words on the other great officers of State. Their history is as long as it is strange. To give the whole of it, it would be necessary to go back to the Aula Regia or Royal Court of the early Norman Kings, which, during the first period of English history, was Westminster Hall and Downing Street, and to a certain extent the Houses of Parliament, all in one. All that I need say of it is, that it had a variety of great officers, the Chancellor being the only one who still retains anything like his original importance. The Treasurer and the Lord High Admiral are, so to speak, held in solution by Commissions, but by a long and obscure process, the duties of most of them, or what we partly know and partly guess to have been their duties, devolved first upon the Privy Council and then upon the Secretaries of State. Who and what these officers are, what are their duties, and what their legal character, has been on different occasions the subject of great legal controversy; but at present each of them is the head of a great branch of the public service. Each has a large number of important offices, subject to him to a greater or less extent, and a Secretary of State as such (for by a strange legal mystery, which has a sort of doctrinal sound, the five secretaries are only one officer in the eye of the law) has a variety of statutory powers. Besides these great offices of State there are, as I need hardly say, a very large number of offices, established for the most part by Act of Parliament, for the transaction of particular matters of business. On all sides we are met by commissioners, inspectors, boards of one sort or another, whose powers and relations to the Government depend upon the particular enactments by which they were created. Many of them are for practical purposes almost independent and self-contained. The aggregate of these institutions forms our administrative system. It is impossible for anyone who has not specially studied the subject to have an adequate idea of its excessive intricacy and absolute want of system. The constitution of our Courts of Justice is not altogether simple; but it is simplicity itself in comparison to the constitution of the public offices. I have said these few words on a subject of extraordinary difficulty and intricacy for the sake of the remarks which it suggests as to the influence of the Parliamentary system upon the Executive Government. The first of these relates to the Cabinet. The Cabinet is a body altogether unknown to the law, invested with no legal power whatever. How far it is a governing council, and how far each individual member is master in his own department, is a question which no one can pretend to answer who has not himself been a Cabinet Minister, and which probably could not be answered very distinctly by those who have held that position. The point which seems to be clearest about the Cabinet is, that it is so contrived as to represent with the utmost possible nicety every fluctuation in Parliamentary opinion, and to be dependent for its existence upon the continuance of a general tacit understanding amongst its members as to the manner in which public affairs are to be managed, and, in particular, as to the policy, whether legislative or executive, which is to be proposed to Parliament. The Cabinet has none of the distinctive marks of a governing council. It makes no formal orders, it has no secretary or other executive officer. No official record of its proceedings is made; they are mere private conversations (the effect of which is never known to the public), and the only way in which a minority or even a single dissentient member can relieve himself from full responsibility for all the acts of the Cabinet is by resignation. He cannot record his dissent or even state publicly and officially the fact that he dissents. This arrangement does not appear favourable to a vigorous central control of the different departments. It puts the Prime Minister in a position greatly less powerful than that of a king, and I believe a king of some sort, a king who really governs, subject of course to distinct and weighty responsibility, and it may be for a limited time, to be essential to good administration. An American President is a much nearer approach to a king than an English Prime Minister. Our system, which may be called the fictitious method of government, might have been contrived on purpose to render all administration weak, hesitating, and consciously dependent for every act and thought on the shifting currents of public and in particular of Parliamentary opinion. The truth of this view can hardly be distinctly proved by any person who has not had immediate personal knowledge of the interior working of Cabinets; but facts known to all the world strongly suggest that the effect of the Parliamentary system upon the executive government of the country has been to deprive the king of all real power, and by the introduction of fictions and the creation of unconnected offices to convert the executive government into an aggregate of isolated institutions having no common centre, no clear and well-defined constitution or connection with each other, and no permanent heads. I have little doubt that this is the true source of those frequent miscarriages and of that general inefficiency which has been so frequently, and in many instances so unjustly, laid to the charge of our public offices. It is not that the offices themselves are illarranged, or that the permanent officials connected with them are deficient in ability or zeal. On the contrary, I believe that no country in the world need wish for abler or better public servants than the heads of our public departments. The real evil lies in the want of a clearly-defined system, showing precisely the duty of each department and its relation to the rest, and in the nature of the relation between the Parliamentary heads of departments and their permanent staff; and this again is to be attributed to the circumstance that nearly the whole of the time and attention of the Ministry, as a body, has to be devoted, not so much to the transaction of the business of their offices as to the view which Parliament will take of their measures. Much is said, and with justice, of the benefits of constant Parliamentary vigilance and supervision, but I do not think that Parliament is or can possibly be made a place for calm, careful, and comprehensive criticism upon the doings of public men and public departments. A Minister may be displaced, a special committee or a commission may produce a number of blue books; but a very large proportion of all the inquiries which take place end in very trifling practical results. I will give one or two—they shall be only one or two—illustrations of what I have said. Within the last few months great Ministerial difficulties and wide changes have arisen entirely from the fact that several of the most important officers of the State differed as to the limits and natures of their respective duties. I have only to mention the names of Mr. Lowe, Mr. Ayrton, and Mr. Baxter to show to what I allude. To pass from this to what is now matter of history. We all remember the misfortunes of the Crimean war, and the cry for administrative reform which it produced, and which ended, as such cries do, in meetings and speeches, which I suspect will be found, should the occasion arise, not to have produced all the effects which could be desired. 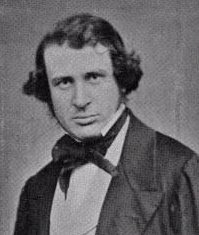 Long before the Crimean war, Sir James Stephen, who, in 1847, left the Colonial Office, of the permanent establishment of which he had been the head for many years, used to say continually that the war departments were so organized that if an European war occurred they would utterly break down. The Colonial Office of those days was the office of Secretary of State for War and the Colonies. At the time in question I believe there was not, and had not been for many years, a single soldier in it. Its functions, and those of the Secretary at War and the Commander-in-Chief, were so strangely intermixed that I believe no one knew distinctly how they were related to each other. I will content myself with a single additional remark on the chaotic condition to which our Parliamentary system has reduced the executive government. No one living man knows what the system is or where to get an account of it. Many years ago—more than twenty—I studied the subject with some care, with a view to writing a book about it. Engagements of other kinds caused me to lay the scheme aside; but my inquiries satisfied me that there was no tolerable account of the subject to be found anywhere, and that the only way of forming one would be by going through studies and making personal inquiries which hardly any one is in a position to undertake. The only book I ever saw which even professed to deal with the subject systematically, is, characteristically enough, a German one—"Das heutige englische Werfassungs und Verwaltungsrecht,” by Dr. Gneist. If it be asked what Parliamentary Government has to do with this result, I answer it has practically destroyed all unity in administration by reducing the office of king to a cypher, and by replacing him by a set of Ministers who shift backwards and forwards, who are equal amongst themselves, and are little kings in their own departments, and who are therefore neither competent nor inclined to attempt to give distinctness and unity to the whole system. This, however, is only one part, and by no means the most important part, of the bad effects which the Parliamentary system produces upon executive government. To appreciate it fully, it is necessary to look at the interior of any great department. In each case there is a Parliamentary head of the office, and in many a Parliamentary under-secretary as well. Besides these, there is in every case a permanent staff—the most important members of which are, as a rule, appointed in mature life, after distinguishing themselves in other ways. The Parliamentary head of the office is its absolute master. He is responsible for what is done in it, and it is in his power, if he pleases, to treat every other member of it (except, perhaps, to some extent, his Parliamentary subordinate) as a mere clerk. On the other hand, he may, and he sometimes does, practically devolve upon his under-secretary the general management of business. Now, Parliamentary life is the only road to the great offices of State, and they are distributed mainly upon party considerations, and with very little reference to the actual management of the business of offices. Hence, the head of an office is put there for Parliamentary reasons, and not on account of his special knowledge. If the chairman of a railway company, or the managing partner of a manufactory or house of business were appointed on account say of his literary ability, and having been appointed, were suddenly changed every few years, without the least reference to the state of affairs in the establishment, we all know what the result would be. Either the establishment would suffer grievously, or the chairman or managing partner would be only the nominal head of the business, or both. Since 1830, we have had sixteen Prime Ministers and fourteen distinct Ministries; so that a Ministry on an average lasts just about three years. If we take into account internal changes in the Ministries—the shifting of particular officers from place to place—it will follow that on an average the head of every office holds office for less than three years. Sometimes a Ministry will last for a very short time—a year or less. In this case an office will probably have three different heads within a very short period indeed, and each of these must, from the nature of the case, be very much more interested and occupied by his Parliamentary duties than by departmental duties. It is indeed by their Parliamentary position almost exclusively that public men are really classed. A friend of mine used to say that whenever he heard a public man described as an excellent administrator, he inferred that the person who said so meant to express in a civil way contempt for his Parliamentary abilities. The way in which the public offices are organized under the party system is by no means unlike the way in which ships were officered in the days when the superior officers were landsmen relying for nautical information of every kind on the master and other inferior officers. This was not found by experience to be a good system. Apart, however, from this, the effect of the constant change of management is that every administrative question of importance has to be taken up and broken off every few years. Few people know how important these questions are. Every department of State has to consider numerous questions of the utmost possible importance to the national wellbeing which really have no connection whatever with party, and which Liberals and Conservatives might discuss on common grounds, just as easily as members of the Church of England and the Church of Rome might discuss questions of geography. To take a few notable instances: Look at the Post Office. It is not easy to understand why the Postmaster-General should be in the Government at all. His office is not in any sense more political than those of the Commissioners of Customs, or the Commissioners of Inland Revenue. But be this how it may, look at the questions with which the leading authorities of the Post Office have had to deal. It may be doubted whether any political changes whatever have done so much directly and obviously to add to the conveniences of life as the introduction of the penny postage and the taking over by the Post Office of the electric telegraphs. Now, between these questions and the subjects on which party conflicts are carried on there is no assignable connection at all. The strongest Tory and the most advanced Radical might well unite in regarding each of these measures as an important improvement. Look again at the numerous questions connected with the organization, discipline, and equipment of the army and navy. No doubt, some of these questions—for instance, the abolition of the purchase-system and the abolition of flogging—connect themselves. with the general distinction between parties; but by far the most numerous and important of them are not party questions at all. Some are questions of pure science, relating to gunnery, the construction of armoured ships, the construction of fortifications, and the like. Others, again, are questions of judgment about common matters, such as the question of the distribution of business and the organization of offices. Others are special questions of the most unattractive and uninteresting kind, such as the relations of Consul Cameron to King Theodore, and of the authorities at Cape Coast Castle to King Coffee Calcalli. If such questions drop out of sight in the shifting of parties, they are capable of costing millions of treasure and thousands of lives. The most exalted loyalty to things as they are, the most passionate enthusiasm for things as they are about to be, will never prevent jobbery and mismanagement in a dockyard or give security that every matter of business connected with the management of a great establishment shall be brought in due time and in a proper form before the authority which is to decide it, or that the proper authority shall decide it in due course, and that his orders shall be punctually obeyed, and that a proper record of the transaction shall be kept for future reference. There is only one instrument by which such reforms can be effected —the master's eye; and where the arrangements are such that there neither is nor can be any Master who is more than a bird of passage, learning his business and acquiring the special knowledge necessary to do his duty properly, you never will have good management. Public meetings about administrative reform, Parliamentary votes of censure, special committees and commissions of inquiry, always produce upon my mind the same sort of effect as an indignation meeting to find fault with a sick man for being sick. Sarcasm, reproaches, disgrace, cannot cure disease. They can and do intimidate and distress the sick man, and not unfrequently aggravate his symptoms. Nothing but patient study of the symptoms, and a systematic and thoroughgoing treatment of them, will effect a cure; and this study and treatment take time and require a permanent interest in the subject, and personal responsibility on the part of the person who is to administer them. The great defect of our administrative system, in so far as regards the management of particular affairs and the organization of particular offices, lies in the way in which we divorce special knowledge and experience from authority and personal responsibility. Those who possess the authority have comparatively little special knowledge and experience. Those who possess the special knowledge and experience have no authority and no responsibility. They may be, and usually are, consulted, but their names are never brought before the public. Their responsibility for what is done is to their own chief and not to the public, and their suggestions have in every case to pass into fact, if at all, through the minds and wills of others. Legally, most of them, though not quite all, are simply clerks whose duty it is to obey orders. Of the evils which this state of things has produced it is hardly necessary to speak at length. Every one must be familiar with them; and I have given some indications in the course of this paper of their general nature. They are usually described as the price that we pay for Parliamentary Government, and it is said that we cannot seriously diminish it without incurring evils which would more than outweigh any diminution in the price. How far these allegations are true will be the subject of my next paper. I described in my first paper the defects which, in my opinion, are inherent in Parliamentary Government in relation both to legislation and to the administration of public affairs. As I also expressed the opinion that the country is irrevocably committed to Parliamentary Government, the result would appear to be that the disease is incurable; and it is natural to ask, what is the use of dwelling upon the symptoms of an incurable disease, and whether it is not better to console the sufferer and to point out the good side of his constitution. Though the disease in question is not wholly curable, it is, I think, capable of alleviation. I do not see why it should be regarded as a hopeless task to convince those who take an interest in the subject, of the limits which the nature of the case imposes on the power of parliaments and other popular assemblies. The acknowledgment of these limits would of itself in course of time more or less alleviate the evils complained of The first step is to get people to understand that the defects which I have been pointing out are real, and that their importance is likely rather to increase than to diminish. The great difficulty of effecting this lies in bringing people to understand the urgent importance of the subject, and in preventing them from being led away by a variety of exceedingly plausible commonplaces which are directed to show that the evils to which I have referred are not really evils at all. The general character of the commonplaces in question may be indicated in a very few words. They insist upon the advantages of local self-government, and contrast these with the fatal effects of centralization, and, above all, they insist upon the maxim that it is far better that public business should be ill done, if a large number of persons get the education and training which our method of doing it gives them, than that it should be well done at the price of being put into the hands of a small knot of officials forming what is called a bureaucracy. The prejudice which has been created by the prevalence of these commonplaces against schemes for any systematic improvement of the administrative or legislative institutions of the country is so strong that I doubt whether the question to which I wish to direct attention has ever been made the subject of serious discussion. I am sure that it has never received anything approaching to the degree of attention to which its real importance entitles it. My principal object in this paper will be to try to remove the prejudice which has thus been created upon the subject and to show that the evils to which I refer are real and growing, and that the bad consequences which are apprehended from any systematic attempt to remove them are imaginary. The evils which arise from legislative and executive weakness are self-evident. They consist of bad laws and bad management of public affairs, and when I speak of bad laws I mean to refer not only, and indeed not principally, to the class of laws which are most commonly referred to in courts of justice, but to that great and continually increasing mass of laws which apply to nearly every part of our daily life. There is hardly a subject on which people do not legislate or attempt to legislate in these days. We pull down and build up, we disestablish churches and establish schools with almost equal vigour; we regulate mines, factories, drainage works, and shipping; we protect sea birds and land birds, so long at least as they are not fit to eat; we encourage and protect salmon, and greatly hesitate as to whether we shall not put deer, hares, and rabbits on the same footing with rats; we forbid steam trumpets, and cover the whole land with the sound of steam whistles. In a word, we have laws little and great, good, bad, and indifferent, on pretty nearly every subject which can be mentioned. I am not one of those who complain of this, and who habitually speak and write of it as if a sort of madness had come over parliament and the nation which it represents. I believe that every age has its own problems, which it can no more avoid than any individual can avoid the problems which come in his way at the different periods of life. If a man of forty were to expect to have no more cares or anxieties than a lad of twenty, and were to ask the question, Why cannot I take as little thought now as I did then about a great' variety of rather tiresome subjects? the answer would be, Because you have surrounded yourself with interests and duties which make up your life, and which you cannot neglect without great discredit and great moral wrong. The comparison between nations and men may be ridden to death, but there can be no doubt that they resemble each other to this extent, that the affairs of both nations and individuals who are at all active and successful constantly tend to become more and more complicated, and to require greater attention and management. The English nation, like a merchant in large business, has got into a position in which special knowledge is acquiring a constantly increasing importance, and in which we shall be unable to bring our national concerns to a good result, unless we make use of it to the utmost and in the most skilful and, therefore, most economical manner. It rather seems to me as if the course of political speculation and the actual practice founded upon and corresponding to it were tending towards the strange result of causing the amount of real political wisdom applied to public affairs to be diminished, in proportion to the growth of the importance and intricacy of the affairs which have to be administered. The condition of political thought and sentiment in this country, generated and stimulated to the utmost by Parliamentary Government and the party system, appears to me to be becoming daily more and more serious, quite apart from the specific effects of which I tried to give a sketch in my last paper both upon legislation and upon the administration of public affairs. In attempting to explain my meaning, I must protest against being misunderstood. I am very far, indeed, from thinking that the age in which we live is worse or more foolish than its predecessors. In many respects it is probably wiser; but, however this may be, every age has its own special dangers and failings, which in every case are serious enough, and which not unnaturally appear to those who perceive them at all specially unpleasant, as is usually the case with present dangers or evils of every description. Let me not, therefore, be understood to compare our days with other ages or other countries in a disparaging manner. I mean simply what I say, and no more—namely, that I see or think I see special evils in the present state of political opinion and thought flowing directly from institutions to which we are deeply attached and irrevocably committed. They may be summed up by saying that thought upon political affairs seems to be running into a paltry form. One principal reason of this, I think, is, that our ablest men devote themselves to devising measures which can be made intelligible and interesting to the great bulk of the constituencies, while the great mass of speculative men, for reasons upon which I cannot now enter, have set themselves either to challenge the right of Government to meddle with anything but police subjects, or to prove that in point of fact they can never do so with advantage. The result appears to be that political opinion falls into the form of an immense number of essentially small, narrow, isolated, contradictory opinions upon all sorts of subjects, most of which are of no very great importance in themselves, though their importance is ludicrously overrated by those who hold them, and which involve, as a necessary result, endless and acrimonious controversies. This state of things is usually made the subject of a great deal of self-applause. We are told that it fosters noble qualities, that it is a splendid education, that it teaches men lessons of independence and self-reliance, gives vast numbers of persons an immediate interest in public affairs, and enables the government of the country to be carried on by the general consent of the persons governed. All this and much more of the same sort is continually repeated amongst us in every tone and on all possible occasions. There must be many ears in which such commonplaces have a very false and hollow sound. I have on general grounds the greatest possible reluctance to believe in the good moral effects on any one whatever of habitually doing things ill. If there is (and how can there fail to be) a right and a wrong way of doing every sort of important business, the moral effects of doing it well and in the right way are pretty sure to be better than those of doing it in the wrong way. If there are—and hereby there must be—such things as true and false principles in politics, and good and bad kinds of political establishments, it would be contrary to all experience to believe that it is a matter of little importance whether those principles are or are not understood and applied, and whether those establishments are or are not set on foot. This is self-evident if we look at any great work which has a definite object pursued by definite means. Suppose an army in the field to be governed with a view to the moral improvement of the soldiers by the means which it is said contribute so powerfully to the moral improvement of ordinary men in daily life. If, in order to train the officers and men as much as possible in habits of self-reliance and mental independence, and in order to interest as many of them as possible in the affairs of the army in general, every regiment chose its own officers, enforced its own discipline, and discussed every question as to the management of the campaign in public meetings called at frequent intervals, it is obvious that the army would not hold together for a day. Try by the same means to carry out an engineering scheme, to take precautions against the cholera, to perform surgical operations—to do anything, in a word, which requires knowledge and skill not commonly possessed, and any sort of unity of plan, and the same results—feeble confusion and hopeless anarchy—will always be produced. To share in such proceedings has no good moral effects whatever, and has innumerable bad ones. It is, indeed, difficult to find a worse school to resort to for any purpose, than a school in which the great lesson to be learned is the lesson that you may get your own way in matters about which you know very little, by adopting and repeating the cries of people as ignorant as yourself, whom you persuade to join with you in your irrational demands. No doubt by stimulating to the utmost the habit of what is called self-government (though it is really only the government of a number of small majorities over a number of small minorities, instead of the government of one large majority over one large minority), by a long course of public meetings and committee-rooms, people may come to acquire an extraordinary proficiency in the arts of electioneering, wire-pulling, and the construction of political platforms. They may come to acquire great tact in seeing what combination of opinions will secure most votes, what way of putting a case will be most acceptable to the House of Commons or any other representative body, and so on. This habit may be diffused by well-known means through every section of the community. It may be introduced into towns, parishes, trades' unions, public companies of every sort, associations for all purposes, literary, scientific, social, and religious, and may thus exercise an incalculable influence, and give to those who have acquired the knack every sort of important position, from that of Prime Minister and leader of a great Parliamentary party, to that of the fugleman of some small knot of people or other which disposes of a few votes at a borough election. But when all this is said and done, are the people trained in such a school really wiser than their neighbours? Are their characters really raised to any special strength or beauty? Does any look up to a man who has acquired supreme dexterity in these arts as a real guide and leader in the difficulties of life? Do we not, in our hearts, rather despise him as an essentially commonplace person who has got his position, not by really improving or teaching his neighbours, but by flattering their weaknesses, and teaching them to take collective folly for wisdom, and collective weakness for strength? Comparing the extraordinary compliments which are heaped (especially by French authors) on the moral effect which our institutions ought to produce on the character of those who live under them, with the effects which they actually do produce in practice, I am often inclined to say, with a slight modification of the famous sentiment about Robespierre— “Avec ton self-government tu commence à m'embêter.” A man who by real patient study has mastered real difficulties and acquired real knowledge— a professional man who really knows his business, for instance, whatever it may happen to be, is for most purposes incomparably superior as a human being to a man skilled in public meetings and committees, and accustomed to their management. The best proof of this is to be found in the case of persons who fulfil each of these conditions. Compare, for instance, a clever attorney with a turn for politics as he is when he is occupied in his professional business with what he is when he stands on a platform and makes political speeches, and the difference between the two manifestations is the difference between strong good sense and what is too much the reverse for me to describe it in appropriate terms. I do not deny, nor am I indifferent to the great value of a widely diffused interest in public affairs, practical acquaintance with them, and government by consent. I had too much experience of the results of their absence in India to have any particular illusions about absolute government. The point upon which I wish to insist is, that it is a great mistake to treat public business to any considerable extent as an educational process, and to set to do it not those who are best qualified to transact it, but those for whom it is supposed to supply the best education. It appears to me that such a policy is not only mistaken, but also defeats itself. The work to be done is too important to be spoiled for educational purposes, and if it were not, no education can possibly be worse than one which consists in setting people to spoil work. This suggests a question of special importance and difficulty. After all it may be said, what is this public business to which you attach such high importance? Vague generalities apart, what is the work of the nation? What sort of things do you wish people who are to direct the legislation and the executive government of the country to have in their minds which at present is neglected by them : What is your idea, in a word, of the sort of knowledge which should be required of those who take an active and leading part in public affairs—who ought, in short, to govern the country? I will try to give a general sketch of the way in which I think this question should be answered, but it must, for the most obvious reasons, be very general indeed. In order to do so, I must begin by attempting to give a sketch of the business which collectively makes up the public business of this country, so as to show the sort of knowledge which is required for dealing with it properly. In order to do this, I will go very rapidly through the principal branches of the executive government, indicating the subjects with which each of them is concerned, and observing that whatever finds a place in the executive government is sure to have its bearings more or less direct and important. upon legislation as well. Indeed, legislation and the executive government are like the two sides of the national heart—the same fluid circulates through each, though at different stages of its progress. I made some remarks in my last paper upon the general character and constitution of the Executive Government. I need say no more on that subject, but will pass at once to the particular offices into which it is divided. The first of these is the Privy Council, which is now reduced from the general superintendence of public affairs, which was its old function, to the position of a body composed of three Committees—the Judicial Committee, the Committee of Education, and the Committee of Trade. The Judicial Committee and the Courts of Justice generally I pass over for the present, though I shall have to make an observation upon them immediately; but each of the other Committees has duties of the most important nature. I doubt whether any better instance could be given of the good which can be done by a wise central department than is to be found in the history of the Education Committee of the Privy Council. I do not propose to enter upon questions of current politics; but I may say, by way of avoiding misapprehension, that I am very far indeed from being an admirer of what is called the denominational system of public education, nor do I mean by anything I say in favour of the Committee of Council to express a favourable opinion of that system. I acquired my knowledge of the proceedings of this department as secretary to the Duke of Newcastle's Education Commission, which sat from 1858 to 1862, and I can hardly say how much I was struck by the manner in which the department had contrived in the course of a long series of years to build up a system of education which, though intricate and complicated to the last degree—though ineffective in many respects and open to all sorts of objections—did nevertheless do an amount of good which it is hard to over-value. The distortion (for such it was, and to a certain extent still is) and the inefficiency of the system was due, as far as I could judge, to the jealousy and prejudices of the only persons in the country who took much interest in the subject. The history of public education in England, in a few words, is this. Different clerical bodies, for reasons of their own, set up elementary schools. Parliament voted a lump sum for the promotion of popular education, and a committee of the Privy Council was appointed to spend it as it thought fit. The committee, with infinite perseverance and ingenuity, and by the exercise of a wonderful amount of tact and temper, gradually persuaded one religious body after another to be graciously pleased to accept the public money for their institutions. The history of the committee from its first establishment downward, is a history of patient investigation, careful experiment, the continual suggestion of improvements, and the constant accumulation and publication of experience on all matters connected with popular education. In a word, nearly everything that is good in the denominational system appeared to me to come from the Committee of Council, whilst the defects of the system come almost entirely from the narrow-mindedness and prejudice of the clergy of all denominations, who, however, did really care about popular education, and the utter indifference upon the whole subject of the rest of the public. Here, then, is one of the functions which the public service not only ought to discharge, but which, as far as the backward state of the public mind upon the subject has permitted it to do so, it certainly has discharged with conspicuous success. Its importance is now just beginning to be understood. From the Committee of Council on Education I pass to the Committee of Council on Trade, or, as it is commonly called, the Board of Trade. This office, amongst other things, has to advise every other department of the Government upon all matters connected with trade—a duty which brings it into close and varied relations with the Foreign Office in relation to the reports of diplomatic and consular agents, and the Colonial Office in relation to colonial legislation. It has to watch the interests of the public in regard to private bills brought before Parliament. It has to exercise important functions of a semi-judicial kind with regard to merchant shipping, and also with regard to railways. It has to criticize, and in some cases to prepare, legislation upon all these subjects; and it has also to collect and arrange an immense mass of statistics. In short, there is no branch of political economy or the theory and practice of commerce which is not continually brought under its notice in connection with questions of the deepest practical importance, though they are, and from the nature of things can be, but very imperfectly known to the great mass of people who take a general interest in political questions. What can and ought to be done, and what cannot and ought not to be attempted, by the public in relation to such subjects as the management of railways and the superintendence of merchant ships, are questions which are in themselves not much less special than the questions on which you consult a lawyer or a physician. Passing from the Privy Council to the Lord Chancellor, I see before me a field more inviting to myself than to my readers, whose patience I will not abuse by expatiating on a favourite subject. I wish, however, to point out how on one side the reform of the law is a special subject, and how on the other it pervades every department of life. Some branches of law—the law of contracts and torts, or, to take a wider expression, the law of personal duties voluntarily assumed—is nothing less than the deliberate judgment of mankind upon all the principal moral and social duties which arise in actual life. A friend of mind who for several years was a reporter in one of the Equity Courts used to be fond of saying that he had heard an infinitely greater amount of wholesome moral teaching and of practical enforcement and illustration of the leading moral duties from the bench than he had ever heard from the pulpit; and I have no doubt that if the grain could be separated from the chaff, and if the real essence and meaning of law libraries could be thrown into a consecutive and comprehensive form, freed from irrevelant details, and from the intricacies of particular groups of facts, the result would be a body of wisdom and justice applied to everyday events and transactions which would be a Κτήμα ές άέι, an invaluable and permanent treasure for the world at large, and for this nation in particular. Its practical as distinguished from its moral and intellectual value needs, I think, no observation from me. With regard to the statute as distinguished from the common law, my belief is that, I will not say what, but certainly an extremely large portion of the difficulty which attaches to it might and ought to be absolutely removed by repealing and re-enacting large masses of it. The mere repeal of obsolete Acts has reduced eighteen huge quartos to three royal octavos, and my belief is that systematic repealing and re-enacting might reduce the rest to very reasonable dimensions. An Act, passed last session (as far as I know without much discussion or alteration), reduced to a single enactment of 30 sections no less than 47 Acts of Parliament relating to the Slave-trade. The one subject of Law Reform, taken by itself, requires an amount of special knowledge, not connected in any appreciable degree with any party question whatever, which no one person possesses or could acquire, but which might be employed to the incalculable advantage of the whole community by people specially employed to use what they had and to acquire more. Passing from the Lord Chancellor, we come to the offices of the five Secretaries of State. I do not wish to attempt an enumeration of the various subjects with which they have to deal, but I may very rapidly refer to the principal heads of their duties. The Foreign Secretary and his officers have to know—at least they ought to know—all the relations of all the principal nations of the world to each other and to ourselves, together with the principles on which they depend, and the laws, customs, and treaties out of which they arise. They ought to be able to apply this knowledge to every question which arises from time to time between nation and nation; and in order that they may be able to do so, they ought to have in the diplomatic and consular services the eyes of the nation, so to speak, for all these purposes. The Colonial Secretary has to deal with all the different relations to this country of colonies, ranging in importance from the rock of Heligoland up to the Dominion of Canada, and including semi-independent States, with constitutions modelled on our own, districts governed by the direct power of the Queen in right of conquest, and fortresses like Gibraltar and Malta held for military reasons alone. These colonies are inhabited by men of every colour, of all religions, races, and languages, of every stage of civilization, and with laws and institutions of the most heterogeneous origin. In Canada you will find relics of the France of Louis XIV. ; in Trinidad, relics of old Spain; in the Cape, the Roman-Dutch law; and in the Mauritius the Code Napoleon; and on many a savage frontier and burning desert there is no law except “The good old rule, the simple plan, that he should take who has the power, and he should keep who can.” All these constitutions, and all these relations of each colony with England, with other colonies, and with its savage neighbours, the Colonial Office is bound to know, and from time to time and in various ways to regulate. The Secretary of State for India has to control every proceeding of a Government charged with the duty of keeping the peace and enforcing the elementary principles of law and order over an empire as large as Europe without Russia, with the collection and expenditure of a revenue of about £50,000,000, with the management of an army of 200,000 men; with the management of relations, half diplomatic, half authoritative, with numerous semi-independent Powers, and with almost as many foreign Powers; with the construction of public works on which depend the very lives of many millions of human beings; and with the legislation necessary to carry out these various duties in a regular manner. The Secretary of State for War, the Commander-in-Chief, and the Admiralty, have upon their hands questions of discipline and organization, upon the proper treatment of which, as a recent terrible example has shown us, the honour and the very integrity of the nation, to say nothing of the security of its property, may depend. They have also to dispose of scientific questions—such as those which are involved in the matter of armoured ships, fortifications, artillery, and small-arms, which in these days are hardly of less importance than the question of the organization of the army and the navy, and which are as distinctly a closed book to the great mass of mankind as a table of logarithms. As for the Home Secretary, he is answerable for every question as to the administration of justice, the maintenance of the peace, the management of the police and prisons, the inspection of mines and factories, and innumerable other matters, all involving one part or other of the great problem, how a vast mass of all manner of people, many of whom are great rogues, and more of whom are great fools, are to be kept from treading on each other's heels and interfering with each other's comfort. I will not go further. I might show how the single question of finance, in a certain sense, includes in itself all other political questions, as everything sooner or later and more or less must be a question of money; and I might also point out that, apart from this general control, the special questions more peculiarly connected with the revenue are as intricate and difficult as any of those to which I have referred. I might add something as to the charge lately assumed by the State of the public health, I might refer to the great question of pauperism and the Poor-law Board; in a word, a large book might be written on the general theme which I have tried to illustrate, but I think I have said enough to give some idea of what I understand by the business of the nation. I understand by those words the aggregate of all the matters mentioned, and of a variety of similar matters of nearly equal importance which I have not mentioned, merely because it would be tedious, and would answer no special purpose to enumerate them. When I am asked what in particular is the work which I think so important, and which I wish to see performed by the public service, I reply, I wish to see all the questions suggested by the topics I have mentioned and referred to, carefully studied on their own merits—handled as well as the nature of the case admits by those whose special duty it is to deal with them. I will ask any one who cares for the subject to say whether, if this was done, the effect upon the nation at large would not be infinitely more important and salutary than the effect of deciding this way or that nearly all the party questions which at the present moment absorb popular attention—indeed, many of them would be disposed of in a far more satisfactory manner than is likely to be the case under the present system, inasmuch as they would be considered not merely upon their party merits, but as parts of a larger whole. It is often almost impossible to solve what is apparently a small question if it is treated by itself, but easy to do so if it is treated along with others, just as it is impossible to make a coat sit really well after the coat has once been cut in a wrong shape, though it would be easy in making a new coat to avoid the old wrinkles. Thus, for instance, it is open to doubt whether the Law of Conspiracy will ever be put in a perfectly satisfactory position by mere cobbling, but if a properly drawn Penal Code were to be substituted for the present Crimimal Law, the subject might be reduced to a reasonable shape with comparatively little trouble—at all events its true bearings and its connection with, and analogies to, other kindred subjects would be much better understood than they are at present, and this would be a great step towards the treatment of the particular points which now cause so much irritation. Let us suppose that by any means this great task had been accomplished, and that the different matters referred to had been studied as patiently, and the results applied to practice as carefully, as is the case with topics which are not usually regarded as political at all-questions of medicine, or astronomy, or geography— would not the results upon the nation at large be felt in every department of life? If all the work in question were done as well as in the nature of things it can be done, would not this in itself strengthen and elevate the whole moral and intellectual tone of the nation, by bringing together a vast body of recognized and systematized knowledge, which would have a weight and authority of its own, and would show a great deal of the miserable little political squabbling of the day in its true light, which in plain truth is wretchedly insignificant. The only cure, so far as I know, for poverty or thought, with all the narrowness and paltriness which is its inseparable companion, is to be found in the discovery and arrangement of masses of true knowledge, and in the general recognition of its character as such. In the face of great professions—such as law, medicine, engineering, and the like—mere quacks and pretenders disappear, inasmuch as everyone, however ignorant he may be on such subjects himself, has the means of knowing that those who do really study and practise these professions have actually learned and do actually know something worth knowing. A man who, having no legal knowledge, sets up his opinion upon a legal question against that of a professional lawyer, would be laughed at. Yet upon scores of other subjects which require at least as much special knowledge and study, pretty nearly every voter in the kingdom regards his own opinion as being just as good as that of any one else, and probably much better than that of a man who has passed years in official life, and had every sort of opportunity of informing himself about it. It has always appeared to me a most instructive fact that the only great branch of public business which is universally recognized as having a definite body of doctrine of its own, which is to be presumed to be right, and is not to be pulled about at the discretion of every one who chooses to give a passing thought to it, is also the only branch of public business which has been organized in such a manner as to be quite independent of party contests. I mean the administration of justice. You take Judges of various grades from a body which is supposed to possess the necessary kind and degree of special knowledge; you make them absolutely independent of all party discussions and questions whatever ; and you trust them to decide the questions which arise between man and man and between society and individuals—in so far, at all events, as they are questions of law, and to a considerable, and I may add to an increasing extent, in so far as they are questions of fact. Has not the result been satisfactory 4 Is there any part of our institutions which on the whole works better, or which it would be less desirable to change radically and in its principles, for the details of our political organization might no doubt be improved? Would any reasonable man wish in regard to the administration of justice to substitute party discussion for trained special knowledge, acting under the responsibility which attaches of necessity to the public and open discharge of functions in which the public are deeply interested? I have no doubt that it will be urged, in answer to all this, that my argument points towards the establishment of what has been called bureaucracy, and that the evils which attend upon that form of government, in the way of destroying the vigour and originality of the bulk of the nation, and in subjecting them to what is denounced as the leaden rule of a small body of officials, are so great that no conceivable amount of improvement in the management of public business could be regarded as affording any appreciable compensation for them. It is very hard, if not practically impossible, to argue against a nickname, and I am quite conscious of the difficulty of removing the impression which has been caused by the one to which I have just referred. I must, however, observe that I am as well aware of the evils of giving unrestrained power to officials as any one can possibly be; and that I do not suggest for a moment that Parliament ought to be asked in any way to surrender or to limit the sovereignty which it at present exercises. All that I wish to point out is that the sovereignty of representative bodies and of the nation at large as represented by them being fully admitted, the sovereign ought to be reasonable, and to understand that, if his work is to be well done, it must be done through agents, who must, from the nature of the case, be greatly superior to their principals in special knowledge, who can hardly have interests hostile to those of their principals, and whom the principal, when he has once chosen them, would do well to trust, subject, of course, to a very careful general control. I do not for a moment suggest that the servants of the public should be its masters, or that any sort of difficulty should be interposed in the way of bringing them sharply and promptly to account for any neglect of duty or undue assumption of power. I can understand the fear of centralization and bureaucracy which I have often had occasion to observe in the people of this country, though I think it is irrational. I believe it to be due principally to the manner in which these ill-famed institutions are, and are supposed to be, worked in foreign countries, and in particular in France and Germany—France more especially. I admit the force of the precedent if it is properly limited. As far as I have the means of knowing, I should say that the whole mode of procedure adopted by authorities of all kinds in France would be simply intolerable in these islands. It is utterly opposed to the whole genius and bent of the national character and habits, and if it were conceivable that it should be introduced I should be as much opposed to it as any one else; but that is not because it is so arranged as to produce the efficient and careful management of great public questions, but because it is intrusive, fidgety, and worrying in many of its manifestations to the very last degree. A system which assumes that everybody in all the important actions of his life ought to be looked after and supervised in one way or other by the authorities is, I freely admit, odious and utterly intolerable; and I may add that it appears to me as ill-calculated to produce results worth having in the way of good administration as to produce qualities worth having in the nation at large. Recent French history, indeed, does not suggest any very favourable conclusions as to the manner in which their system has worked. It does not, however, follow that, because in France public officials have always had a taste for undertaking more than they could by any possibility do well, and for interfering in all manner of subjects which they had much better have let alone, we in England ought to mistake the opposite of wrong for right, and leave in confusion a very large number of departments of public affairs which must be done, and which ought to be done, properly and thoroughly. It is a confusion of ideas to suppose that because it is undesirable on many grounds that we should adopt the French system of criminal procedure, for instance, or the French system of public education, we ought to leave the English public departments, or the law of England, or its whole system of local government, in their present confused and unintelligible condition. It is, indeed, unworthy of a great nation to say we will not have the ablest servants we can get, and we will not give our servants the powers necessary to enable them to do their work properly, for fear that our servants should become our masters. The very first condition of being able to carry on great affairs in an adequate manner is the power of choosing good agents, giving them the necessary powers, and seeing that they do not exceed or abuse them. Those are precisely the duties, as it appears to me, which Parliament ought sedulously to discharge with regard to that large department of public affairs which by its very nature it is quite incompetent to transact directly. To give the country a really efficient Government it would be necessary in some way, and under some form, to restore a considerable degree of real power to the King; and this cannot be done either by popular agitation or by Acts of Parliament. You cannot by votes infuse vigour into a paralysed limb. You may see clearly that the feature which a landscape requires is wood, but you cannot go out and buy an avenue of oaks two centuries old as you might buy hot rolls for breakfast. In the present state of public opinion and feeling you cannot make one person in a thousand understand the want. To propose a practical reform in the constitution of the Cabinet—to discuss, for instance, the question of substituting a real Governing Council for it—would, under present circumstances, be mere pedantry and Constitution-mongering, for which I, at all events have no taste. It appears to me that, things being as they are, the English Government will for years to come have to suffer the evil of having a weak heart and a languid circulation, though it has lungs and voice enough for anything. This makes a radical cure impossible, at all events for the present, but considerable alleviations may be suggested which would possibly produce effects of increased importance. Their general object would be to establish a distinction between Parliamentary questions, and questions which, like the administration of justice, have little or no connection with party, and ought to be considered on their own merits. In short, I should wish to see set up by the side of Parliament, though of course subject to its general control, departments for the management of those public affairs, which can be severed from party struggles. I should wish to see a time when the management of the Navy would not be more affected by the fortunes of denominational education than the decision of any case in the law courts is now affected by the success or failure of the Permissive Bill. As matters now stand, a disaster on the West Coast of Africa would very probably alter the complexion of popular education in this country, by changing the Ministry, which appears to me about as rational as changing your lawyer because you discharge your cook. In order to give a definite answer to the question, Which particular departments could be thus set free from party? it would be necessary to examine minutely the whole constitution of the public offices, and to show, in reference to each, where and when and to what extent party changes ought to operate. Of course I cannot pretend to undertake such a task or even to glance at it in the most cursory manner on the present occasion. I will, however, mention one subject by way of a specimen. I read to you in my last lecture Mr. Mill's suggestion of a Legislative Commission, to which the actual making of laws should be referred. It seems to me that this suggestion goes too far. Parliament could not, I think, in practice limit its powers to anything like such an extent. My own views upon the subject would be very much more moderate. I think that a legislative department, the duty of which would be to prepare for the decision of Parliament numerous matters which it is quite impossible for Parliament to decide upon properly without a great deal of preliminary preparation, would be a most valuable body. Indeed, if it were once established, I think people would wonder how they ever got on without it. I have on many occasions gone into this subject at considerable length and with reference to the special question of the reform of the law, and I will not now go into details upon it; but every year's experience confirms the views upon the subject which I formed and expressed many years ago, and to which I have made many endeavours (with no great success) to get the public to attend. I also think that the permanent heads of all important departments ought to be put upon a totally different footing, in regard both to pay, rank, and responsibility, from that which they occupy at present. Such officers ought to be the ablest men in their own lines who are to be found in the country, they ought to be paid upon the same sort of scale as judges (whose duties are, generally speaking, much less important). They ought not to be mere clerks to Cabinet Ministers, who, in many instances, are greatly their inferiors both in knowledge and in power. They should be rather in the position of councillors, whose opinion the head of the department might overrule, if he saw fit for practical purposes, but whom he should be obliged to consult, and whose opinions should be recorded, so that Parliament and the public should know who had given what advice, and upon what ground important decisions were taken. Precedents for such an arrangement might be found in the Council of the Secretary of State for India, and in other offices to which I might refer. I think, too, that the upper ranks of the Permanent Civil Service might with great advantage be made the scene of a little more change and variety than is usual at present. The appointment of an Under-Secretary is practically for life. Mr. Hammond was fifty years in the Foreign Office, my father was thirty-five years in the Colonial Office, and these are by no means exceptional instances. In India they go into the other extreme. In twenty-five years a man will perhaps fill eight or nine different appointments, involving all sorts of different duties. This has its evils, but it gives men great experience, accustoming them to every sort of change, to various forms of responsibility, and to the reception of new ideas. If our Permanent Civil Service were recognized as one of the most important professions in the country, and if it were made, as it ought to be, lucrative and honourable in a corresponding degree, it would soon show as much energy and originality as any other, and I believe that no reform can be suggested which would be so important a step towards the solution of the great question as to what can and what cannot be done by legislation. This is a question which nothing but experience can really solve, and whilst nations are on their present footing the requisite experience is not to be had, and the subject is abandoned to those who teach, on the one hand, that organized social force can do nothing at all beyond keeping the peace, and to those who indulge on the other in all the dreams of Communism. Contemporary Review, December 1873 and January 1874.